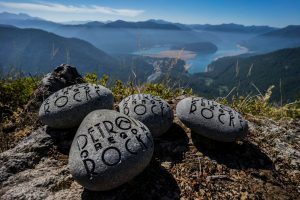 Explore Detroit, Oregon and search for your very own engraved Detroit Rock and get a chance to win prize packages! 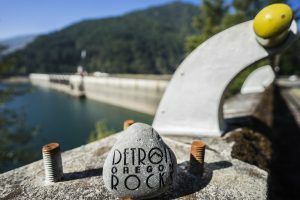 Each week there will be unique, engraved rocks placed for visitors to find and hints will be updated here and on our Facebook Page. Participating in Detroit Rock’s hunt is at your own risk. The City of Detroit nor DLRABA is not responsible for injury of participants. Go to Detroit and seek your treasure. If you find one, you keep it. If you are one of the lucky ones to find a rock, we kindly ask you to leave the others behind so that more people can enjoy in the fun. 2) Once found, register your rock by completing the below form. Registering your rock will instantly enter you into a drawing to win a prize package. 3) Post and Share your Pictures to Detroit Lake, Oregon Facebook & Instagram Pages. Tag us at #detroitORrocks. If you share your pictures, you will be entered an additional time into the drawing. Once a year there will be a drawing from all the registered rocks. The name drawn will win a special Detroit sponsored package. REMINDER! 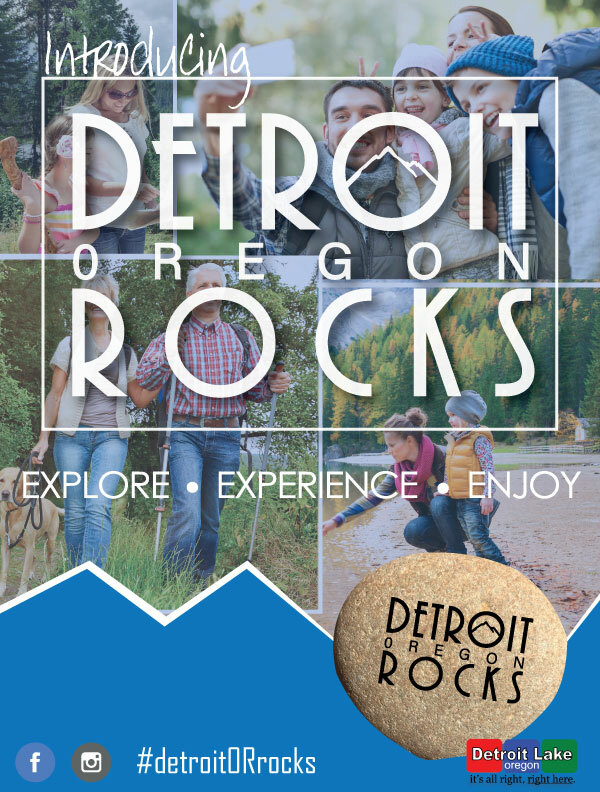 If you find one of the rocks, please register it and post it on social media #detroitorrocks. Also, ONE rock per FAMILY. We’re trying to spread the contest to as many families as possible. Thank you! Congratulations! You've found your rock, now it's time to register to win your prize package. Please complete the below form to submit your registration. ***Winner will be required to provide a picture of the rock to win. Yes, sign me up to receive email notifications of upcoming events! 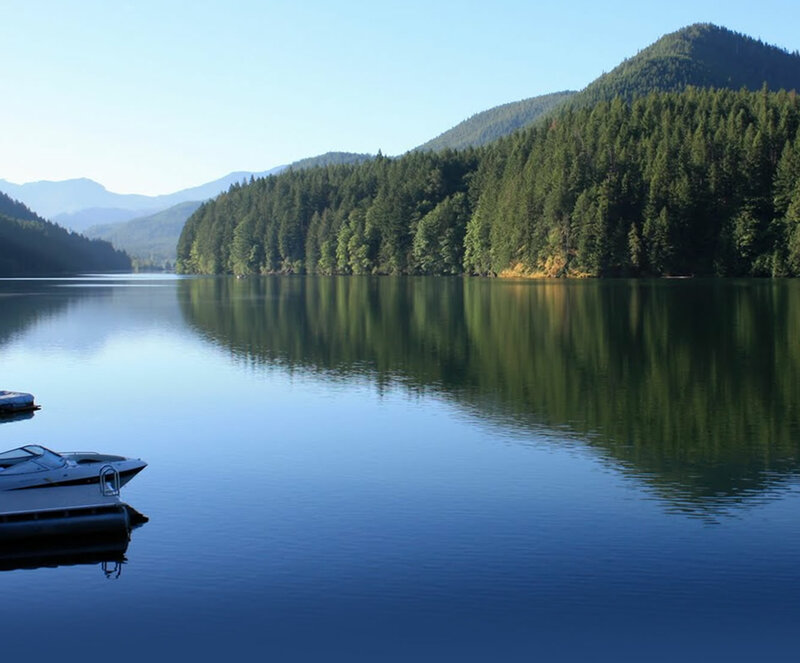 The primary purpose of DLRABA (Detroit Lake Recreation Area Business Association) is to stimulate, promote, encourage, and develop the economic health, tourism, and vitality of the greater Detroit Lake area. Copyright © 2019 DLRABA. All Rights Reserved.